Every time we think we’ve *finally* accumulated enough Disney merchandise to last us to infinity and beyond, another brand teams up with the house of mouse, making all of our dreams come true. The iconic designer handbag company Dooney and Bourke is just the latest to release a stunning new Disney collection — with a twist that’s truly perfect. Just like all the other Disney and Dooney and Bourke collections that feature wristlets, totes, wallets and crossbody bags that pay homage to a wide array of Disney properties — including a variety of Disney Parks’ most famous rides and Star Wars: The Last Jedi — this new one is a must-have. While Mickey and company and the legendary Disney princesses tend to get the most love merch-wise, this time it’s *all* about Pixar. The Dooney and Bourke collection features a Pixar pattern that would even have Edna Mode shaking in her sensible flats. The Pixar bags feature all our beloved Pixar characters — including the Inside Out emotions, The Incredibles, the Monsters Inc. crew, Merida, the Finding Nemo trio, our beloved Toy Story heroes, and so many more. Our hearts seriously can’t handle this wonderful Pixar tribute. The Pixar pattern can currently be found on Dooney and Bourke wristlets, crossbody bags, and tote bags. Tell us this isn’t the most beautiful sight you’ve seen all day. 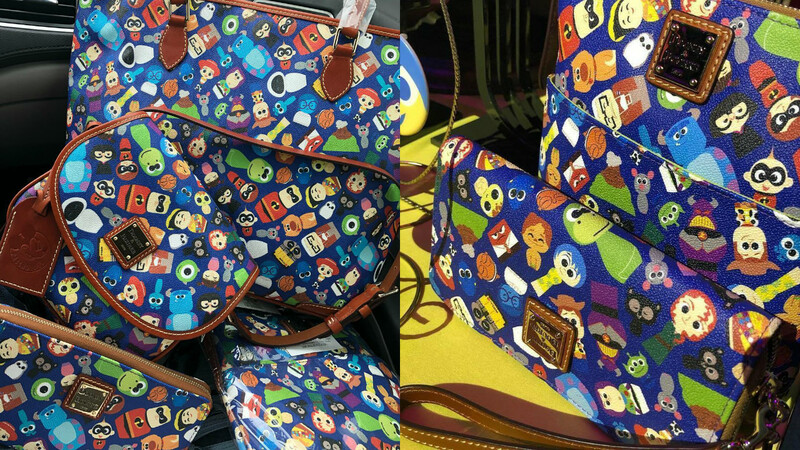 While we’d love nothing more than filling our closets with Dooney and Bourke’s Pixar bags, the collection is a bit on the pricier end. The collection ranges from $98 to $308, with the Pixar bags costing between $158 and $268. Unfortunately, the bags featuring the Pixar patterns are completely sold out or on back order — because they’re perfect — but hopefully Dooney and Bourke restocks soon because we need this pattern in our lives. The entire collection can be found here…and just a warning, you’re seriously going to want it all.